Knife crime is very much on the political agenda, especially with several stabbings having taking place over the last few weeks resulting in deaths and serious injury, and no doubt the loss of liberty for those responsible. 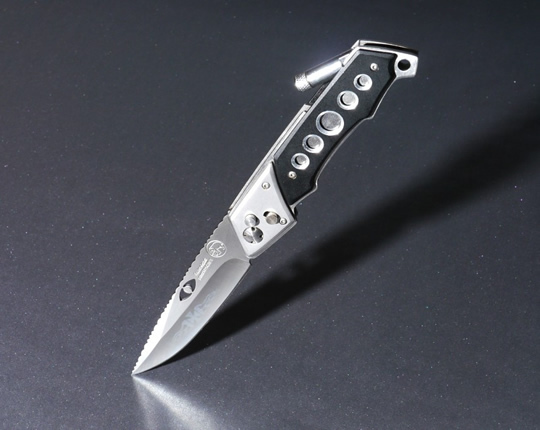 The focus is now on using deterrent sentences to discourage knife possession. The Sentencing Council, which is responsible for setting sentencing guidelines in England and Wales have today issued new a new guideline for knife crime offences. What offences does it cover? The guideline does not cover circumstances in which a knife or other weapon is actually used to hurt or harm someone. That is because any such offence would squarely fall within another offence such as, for instance assault or murder / manslaughter, as appropriate. Likewise, it does not include the use or possession of firearms which is already covered by different legislation. Does the guideline apply to all offenders? The new guideline applies to both adults and minors (those under the age of 18). In relation to the latter, the guideline shall work alongside the Sentence Children and Young People guideline and encourage Courts to look in to far greater detail at the age / maturity, background, and circumstances of each offender to determine the most appropriate sentence that shall achieve the best aim of preventing reoffending which is, of course the main function of the Youth Justice System. What will be the effect of the new guidance? Leading Court of Appeal Judgments have emphasised the seriousness of this type of offending and have set out sentence levels that senior Judges consider appropriate for dealing with offenders. The proposed guideline takes these changes to the law and Court Judgements in to account in consolidated, up to date guidance. It ensures that those offenders convicted of offences involving knives, or particularly dangerous weapons, as well as those who repeatedly offend shall receive the highest sentences. The introduction of the guideline may, therefore, lead to some increases in sentence levels, predominantly in relation to adults convicted of possession offences. Are there any minimum sentences for these offences? Where an offender is convicted of a second (or further) bladed article / offensive weapon offence the Court must impose a mandatory minimum sentence of 6 months’ imprisonment for an adult or 4 months’ Detention and Training Order for a youth (under 18), unless satisfied that there are circumstances relating to the offence or the offender that make it unjust to do so in all of the circumstances. Where an offender is convicted of threatening with a bladed article / offensive weapon the Court must impose a mandatory minimum sentence of 6 months’ imprisonment for an adult or 4 months’ Detention and Training Order for a youth (under 18), unless satisfied that there are circumstances relating to the offence or the offender that make it unjust to do so in all of the circumstances. As the guideline gives the highest sentences to those offenders who threaten with knives or highly dangerous weapons, these offenders shall always receive sentences greater than six months. The combination of the legislation and the guideline may therefore mean that there is an increase in sentences received by some offenders convicted of these offences. Where the seriousness of the combined offences is such that it falls far below the custody threshold, or where there has been a significant period between the offences, the Court may consider it unjust to impose the statutory minimum sentence. However, this is, of course entirely at the discretion of the Court. What about ‘highly dangerous weapons’? Additional guidance has been included as to what constitutes a highly dangerous weapon. An offensive weapon is defined in legislation as “any article made or adapted for use for causing injury or is intended by the person having it with him for such use”. A highly dangerous weapon is, therefore, a weapon, including a corrosive substance (such as acid), whose dangerous nature must be substantially above and beyond this. The Court must determine whether the weapon is highly dangerous on the facts and circumstances of the case. Sentencing is invariably a complicated process and a balancing exercise; with the interests of society and the protection of the public on the one hand and the personal interests of the offenders on the other. Accordingly, it is in everybody’s interest for the right sentence to be imposed by the Court. Our advocates are specially trained to deal with these types of offences and understand how to navigate through the sentencing guidelines and plethora of case law to ensure that the guideline is not applied in a mechanistic manner, but instead that the Court considers and focuses on all relevant factors.